Today we can’t deny the fact that technology continues to play a huge role in our day to day business activities. Every single industry is dependent on hi-tech facilities to improve customer satisfaction and grow revenues. 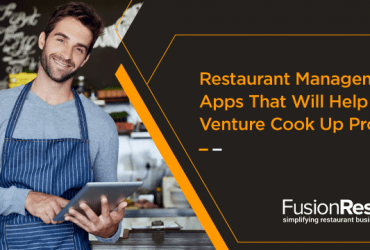 Likewise, restaurant industry enjoys the boon of this digital advancement too. Needless to say, any food and beverage company that has adapted self ordering kiosks technology has witnessed a positive transformation in their sales and productivity ultimately resulting in better customer experience. Are you wondering what self ordering kiosks are? Are they worth investing in? To know more let’s take a look at the term’ kiosks’ and what benefits they have in restaurant marketing, especially in quick service restaurants. 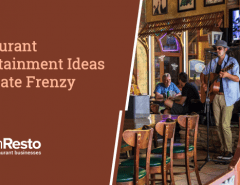 With the growing competition in the restaurant industry, it’s natural for all quick-service restaurant operators to look for proven ways to strengthen their customer service during rush periods. A food service kiosk can be a crucial element in upgrading your in-store experience. Such a self-service solution allows on-site patrons to submit their orders, pay and avoid waiting in long lines. There’s no room for doubt as you value your customers; you would always strive to create a fantastic customer experience and aim to build a long-lasting relationship with them. Self-service kiosks are interactive terminals established near the cash stations in restaurants. 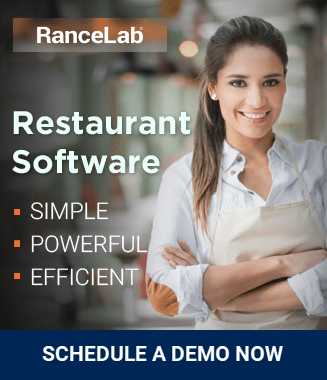 These booths feature specialized software applications to ease the tension of both the customers and the restaurateur reducing wait time, building order accuracy and providing ample scope for customization. An iPad self-service kiosk interface is coupled with the facilities of bill acceptor and credit card swipe. However, you must understand that self-ordering kiosks are not useful for all types of restaurants. Marketing survey states that such smart booths can work wonders for quick service restaurants (QSR). A QSR focuses on providing customers with their order as quickly and efficiently as possible. So, where there is no table service and fast food delivery concept self-order kiosks are the best choice for growing revenue. 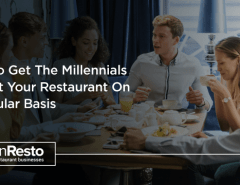 Modern day customers want exclusive experience when they visit a restaurant. No one appreciates inaccuracy in order. The customers want personalization in their order and prefer to get engaged directly with the ordering systems for customization without any staff interaction. Unfortunately, when the human operator is involved, there’s always the possibility of faulty service harming order accuracy. Thus, installing a self-service kiosk would allow you to fulfill your customers’ desire. They can enjoy the convenience of placing an order and enjoy a human-scale interface that displays the complete order and delivers according to their need reducing order inaccuracy. When customers take care of their ordering process themselves, it’s evident that all types of order errors get eliminated giving the restaurant owners enough flexibility to provide faster service. Self-ordering technology facilitates a better in-store experience. The restaurateur gets the scope to deploy the workforce to more strategic customer retention. As the technology minimizes the requirement of fewer counter service workers, more staff can devote their time in developing other finery. The integrated POS kiosk is the best option for cross-promotion and up-selling, which means using this technology customers self-order contextually relevant products and services. This way a truly unique and personalized dining experience gets created. The primary goal of any restaurant owner is to provide exceptional customer service. 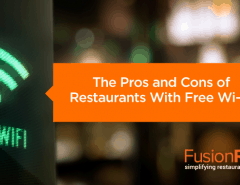 According to research, up-selling and cross-selling are two ways that are sure to provide exemplary customer service and increase restaurant profits. Interestingly, both techniques encourage maximum purchasing behavior. A kiosk is a great way to increase your restaurant revenue. With this upgraded system, patrons are guided through their entire order step by step. The customization facility of adding extra paid toppings or enjoying a combo-helping are sure to add revenue along the way. You can thus enjoy a hefty ROI. It’s no secret that almost all QSRs face the problem of increasing labor cost. With rising operational costs, needless to say, every restaurant owner irrespective of his/her business size looks towards reducing all types of expenses while maintaining a consistent customer experience. The self-order system will assist fast food joint restaurateurs in streamlining their spending and increase productivity. Most importantly the software helps in reducing labor cost and allows the businessperson to allocate their financial resources in other significant areas resulting in much-needed development. Among several fruitful benefits of self-service kiosks, setting up separate ordering process as well as delivery and payment system is one of them. 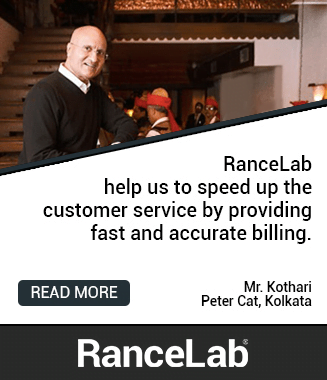 This approach reduces customer waiting line thereby increasing restaurant efficiency. In any quick service restaurant, it’s always seen that during occasions or festive days counter staff finds it extremely difficult to handle all jobs-(taking orders, order delivery and payment) together. In other words, with all the processes in one counter it is impossible for the staff to work adeptly and which in turn causes the customers to wait for long until the order is delivered. But when a QSR installs self-order booths, all the processes from ordering to delivery goes through a systematic procedure. This subsequently eliminates order queues and further reduces the staff workload. If you want to outrank your competitors, you must take advantage of point of sale billing software to enjoy faster sale. Installing a self-order kiosk mean it facilitates self-service billing solution. To put simply, kiosks are touch-screen computers which are connected to the restaurant’s POS software. But unlike the restaurant POS system which requires the involvement of an employee to take customer’s order and generate bill receipt, interactive kiosks help to generate bills without the participation of any employee. Self-service kiosks are revolutionalizing the marketing strategies of a quick service restaurant industry. It’s high time that you understand that with several digital strategies, loyalty program and the like you can impress your customers. But above all implementing food kiosks would provide quality service and then bring fantastic effect. So, now as you understand the several benefits of the self-service booth, what are you waiting for? Consider optimizing the technology as soon as possible and get the most out of it. If you are a starter, follow a few steps for better service- make sure that your implemented kiosk technology is customized and is integrated with your POS system. 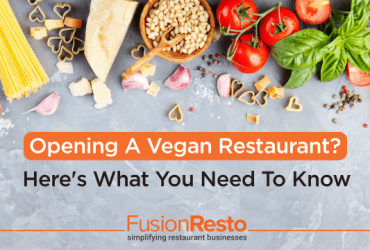 Previous Article Opening A Vegan Restaurant? Here’s What You Need To Know!